Chinese glyphosate technical market was slack in April 2018; overseas markets entered the slack season. In the meantime, raw material prices kept rising. In this context, glyphosate technical producers suffered mounting pressure. Although raw material prices kept rising and downstream demand remained weak, producers did not obviously reduce operating rate, with some even increased. Based on input-output ratio, glyphosate technical producers still have considerable profits. Currently, 13 glyphosate technical enterprises are in smooth operation, 4 in Central China, 1 in North China, 4 in Jiangsu Province, 1 in Zhejiang Province, and 3 in Southwest China. Operating rate in Central China remains at 66%, East China reached 62%, and Southwest China reached 71%. In East China, operating rate gradually rises, from 57% to 62% in late March, leading to improving market supply. In Q2 2018, the chemical market entered the slack season, with glycine prices showed up-regulation. However, glycine operating rate was dropping although orders were abundant. Rising glycine price will undoubtedly pose pressure on producers without their own glycine production equipment. For those who can produce glycine by themselves, that would be an opportunity. For example, Inner Mongolia Tenglong and Sichuan Fuhua Tongda with supporting glycine equipment, can save production cost and earn more profits from the high market price of glyphosate. In 2017, many glyphosate producers continued production suspension due to environmental inspections. What's more, global planting areas of GM crops kept rising and overseas pesticide manufacturers were supplementing inventories. As a result, the over-capacity situation to some extent got relieved, and the industry was better than 2016. Environmental inspections also tightened the supply of main raw materials such as iminodiacetonitrile and yellow phosphorus, leading to price hikes. On the whole, market prices of glyphosate showed a YoY rise. 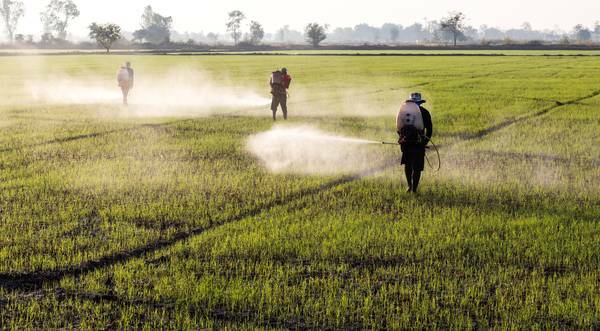 As for the future trend of the glyphosate industry, Sichuan Hebang holds the view that after three-year adjustments, plus the stringent environmental inspection, there are not many glyphosate producers with smooth production. At the same time, strict requirements for newly-built capacity means limited new capacity and difficulty in production resumption of small producers in the future. It is predicted that the supply-demand relation will further improve in 2018. For PMIDA, as its prices, supply and demand are closely related to glyphosate, the product will also show an uptrend. Notably, the central environmental inspection team once launched a one-month inspection in Sichuan Province. Get regular and exclusive insights into China’s glyphosate market by subscribing to CCM’s monthly published glyphosate report.